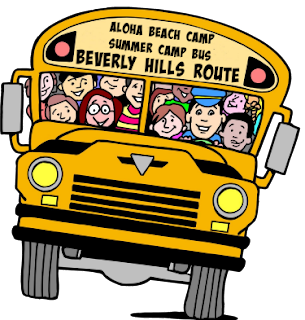 As you may know, Aloha Beach Camp provides free transportation for all enrolled campers. A few years ago, we implemented a Beverly Hills bus stop at El Rodeo School. This stop has grown in popularity and our enrollment from Beverly Hills kids has grown with it. Last summer, over 100 kids from Beverly Hills and the surrounding community attended our beach camp program. The goal of our transportation program is to offer safe and convenient bus service for families while maintaining short routes and reliable schedules. We have found the El Rodeo location may not be the ideal location for a bus stop in terms of meeting these important objectives. This past summer, the morning bus route from El Rodeo to the beach was perfectly fine, but sometimes the afternoon route (from the beach to the school) took longer than planned. Accordingly, we are considering relocating our Beverly Hills bus stop location to Horace Mann School instead. We believe this location will still be convenient for families,while simultaneously cutting down on the time kids spend on the bus. We are in the process of assembling bus times and the specific meeting location at Horace Mann and will post the info soon. We are committed to serving Beverly Hills families with outstanding (and free!) bus service in summer 2019 and beyond!